Petty: The Biography by Warren Zanes: A “deep and intimate” look at the life of the Gainesville, Florida-grown musician. Listen to the NPR interview with Zanes. 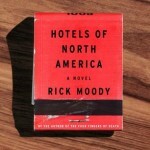 Posted in Book Rate and tagged Book Birthdays, Mary-Louise Parker, Michael Cunningham, Rick Moody, Tom Petty. Bookmark the permalink. Trackbacks are closed, but you can post a comment.